EDC stands for "Every Day Carry" and is all about the essential items that you should carry with you on a daily basis. These items are used for general office tasks, outdoor adventures and small jobs at home. In any situation, having possession of some cool EDC gear that can make your life easier is pretty handy. But with so many products on the market today, it can be difficult to figure out exactly what those essential items are to put on your list. So here's the basic to get you started. 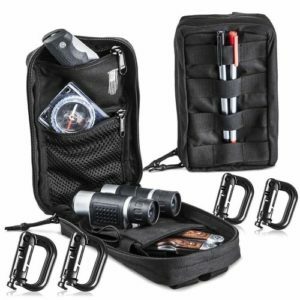 Having a complete EDC kit is definitely worth spending a bit of time constructing and will prove to be very convenient to have. But let's start with what the main items at the top of your list should be. If you are leaving home for an adventure or simply kick-starting your outdoor trail, here is a list of must-have cool EDC gear essentials. A good quality knife is by far the first item to acquire. It's use can be limitless and is in most instanced essential for survival. It helps in cutting through obstacles, protecting you from predators and is handy in chopping just about anything. A knife is the first thing you'll reach for while tackling a survival situation. Talking about knives, there are a lot of varieties on the market, but you must pick one that is performance oriented as well as compact. A 20" machete with a sharp blade is great for defending against an attacker and useful in the jungle for clearing. But not so much on the compact side. My advice is to go with something a little more on the utility side, like a Gerber Tactical Knife. Perfect for your cool EDC gear option in my opinion. The versatility and use of a great pocket knife cannot be underestimated by its compact shape. It should be handy and easily fit or attach to your pocket, making it easy for an individual to carry. It is an ultimate survival tool that should not be taken for granted in any case. The knife is foldable which means it usually has a sharp edge on one side and a serrated edge on the other. There are many brands of folding pocket knives on the market. However the ones from Kershaw get a special mention because of their unadulterated performance, exquisite craftsmanship and high-end utility as a part of any Everyday carry knife. An outdoor adventure is definitely incomplete unless you have a high-end and dependable fire starter in your EDC gear. If it's either starting a fire to prepare a meal, keeping wild animals away or escaping the chill of a night. You will not regret ensuring you have a lighter on hand. Leaving home without one is like leaving home unprepared. There are different types of lighters, both expensive and cheap, but just ensure you have on in your EDC kit. Keep in mind Zippo lighters are cheap but the fuel will not last forever. I encourage you to look into a proper Fire Starter that will spark every time like the Exotac nanoStriker (full review here). The necessity of including a reliable flashlight in your everyday carry bag should be self-explanatory. Because without light we are blind when the sun eventually goes down. Your adventures might lead you to forests and places that are encompassed in absolute darkness. Your options will be severely limited with what you can do if you can't see anything. An LED flashlight is perfect as they consume less power than a normal torch but still produces a super bright light. A tactical flashlight is what is needed in your everyday carry gear to prevent getting lost. I recommend reading my Top 5 EDC Flashlights article first on the different types of EDC Flashlights before buying. It is well-known that most diseases are water-borne and while on an adventure it is impossible to carry gallons of filtered water on your person. This is where having an accredited Water Purifier will literally save your life. Because we all know our body can go several weeks without food, but only a few days without water. 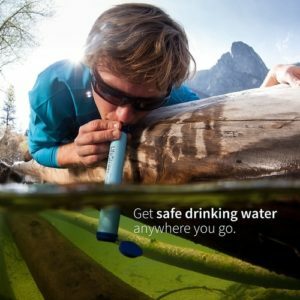 The LifeStraw is extremely handy and convenient due to its small, compact size. This is one product that I would call mandatory to be stashed in your EDC gear at all times. While on an adventure trail or hiking, people often get stranded due to losing direction. Therefore the only thing that provides direction is a handy compass. It is an important tool and helps in survival by finding the right direction. One of the best on the market with tremendous performance is the Military Spec Prismatic Sighting Compass which has an attached sighting scope. Carrying all your gear on your person is something that needs to be tailored to you. Think about your body size and cardio health when deciding which pack or pouch is for you. There is array of options to choose from, some that can be tied across the waist, carried on the back and molle attachable to customise your own. A pouch is very lightweight and provides a strong compartment when strapped across the waist. It is moresuited for carrying urban EDC gear like a pen, pen torch, small cutter, foldable knife and notepad. Making these items easily accessible on the front of your body. This Black Tactical Molle Pouch is perfect for this type of purpose. It is important to be prepared while leaving home and especially when you are attempting an outdoor adventure or activity. A lot of things fall under the term everyday carry gear but these are the few handy ones that you should always carry. They will certainly come in hand in the event of an an emergency situation. Purely relying on outside help could someday be your down fall, so work on increasing your survival instincts today. Never leave home without the above mentioned cool EDC gear again. Be prepared because you never know how and when lack of preparation might lead to difficulties. In order to survive better in outdoor trails, make sure you have everything you need in one place.